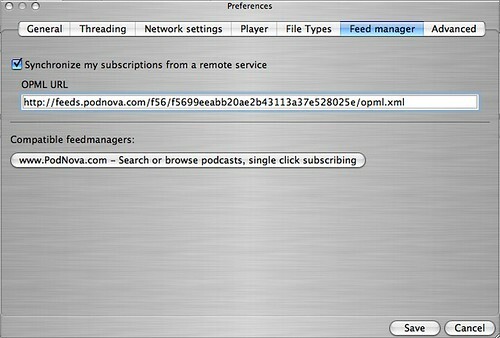 For the past year, I’ve used the free PodNova website and free PodNova desktop client to manage the podcasts to which I subscribe and listen. 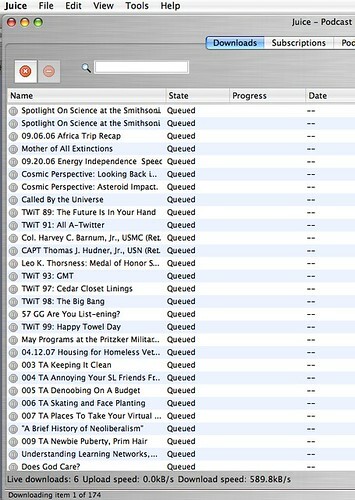 I use iTunes to actually listen to most podcasts and synchronize those I’ve downloaded to my iPod. 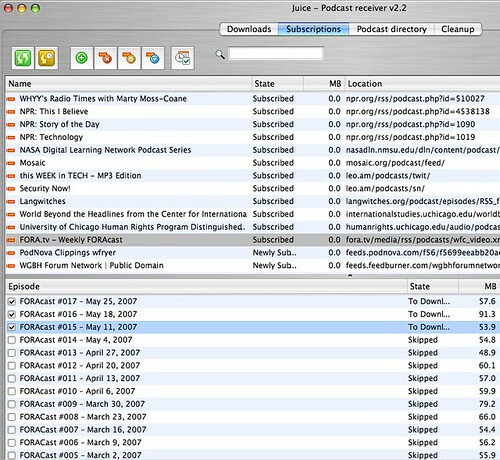 (See my post “PodNova and Podcast Subscriptions” on TechLearning from March 2006 for more background.) I’ve loved the ability to maintain and update my podcast feeds via a web-based tool, especially since I’ve changed computers during the past year and PodNova enabled me to not lose any of my podcast subscriptions, because my feeds are maintained online instead of on a specific computer’s hard drive. 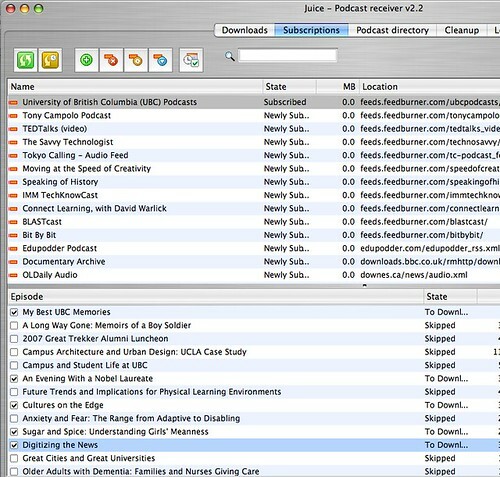 It is very handy to be able to add a new podcast feed to my subscriptions from ANY Internet-based computer as well, since I’m often using other computers besides the one I use when downloading podcasts and syncing my iPod. 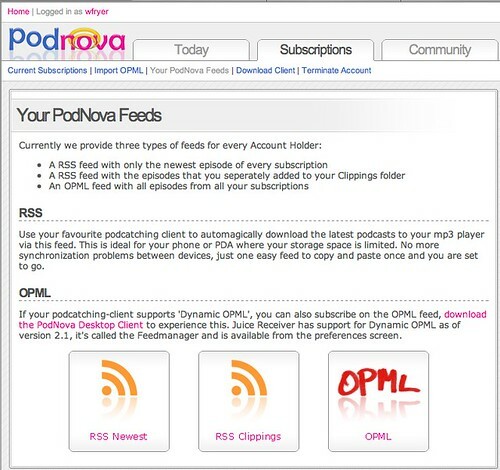 Recently (in April 2007) the PodNova developers released a major update of their website as well as an update of their PodNova client. I REALLY like the upgrades to the website and the way they’ve made podcast feed management easier than ever, but at first I was quite devastated at the loss of functionality present in the “upgraded” PodNova client. That disappointment was replaced by joy today, however, when at last I downloaded and configured free Juice Receiver desktop software. All the prior functionality of the PodNova desktop client is present in Juice Receiver, and everything seems to run snappier than ever on my Intel-based Macbook. 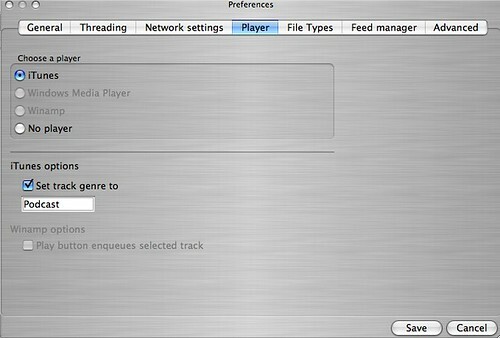 Both PodNova and Juice Receiver are entirely cross-platform, running on Windows, Macintosh, and Linux computers. In this post, I’ll share some updates about the features I love about these free software tools and how I’m using them to manage my podcast subscriptions. By having that preference set, I can always navigate to all the podcasts on my iPod by choosing MUSIC – GENRE – PODCAST. I love this feature and am SO GLAD it is available in Juice Receiver, as it was in the previous client software version of PodNova. 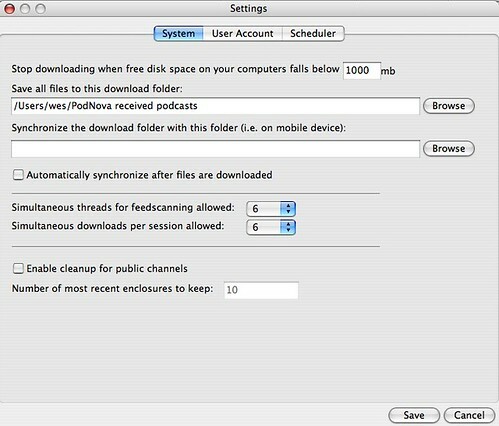 The second preference change I’d recommend making in Juice Receiver is under the FEED MANAGER tab. Click the box to synchronize your subscriptions with a remote service, and then paste the URL of your OPML file into the field. Then SAVE your settings. As Juice Receiver downloads each podcast, it automatically sets the ID3 genre of each file to “Podcast” and adds it to my iTunes library. I save all my iTunes files (including podcasts) to an external hard drive, since they take up so much memory and I don’t want to dedicate laptop hard drive space to those files. I changed the Juice Receiver default podcast file saving location to my external hard drive as well (in a separate folder) and changed my iTunes settings to NOT copy files added to iTunes into the iTunes library. 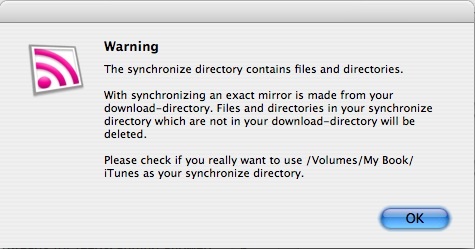 This prevents iTunes from making an unnecessary duplicate copy of each podcast I download, and instead iTunes just indexes the podcast noting its ID3 information and the location of the file on my hard drive so it can play within iTunes and sync to my iPod. If I want to delete episodes, from this dialog window I can select the podcast channel and then choose to delete episodes I have already listened to or for some other reason no longer want on my hard drive. 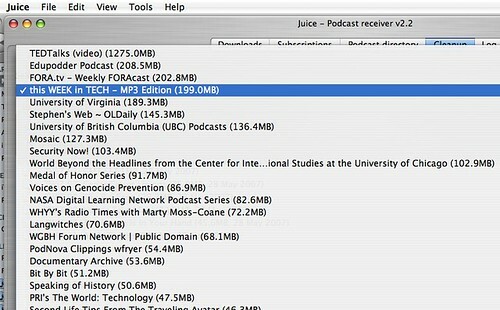 Juice Receiver both deletes the podcast from the Juice Receiver download folder, as well as from my iTunes library. Great article, and excellent feedback for our podcasts. I’ve since changed the descriptive fields on our feeds to make our episode titles somewhat more informative. Thanks!